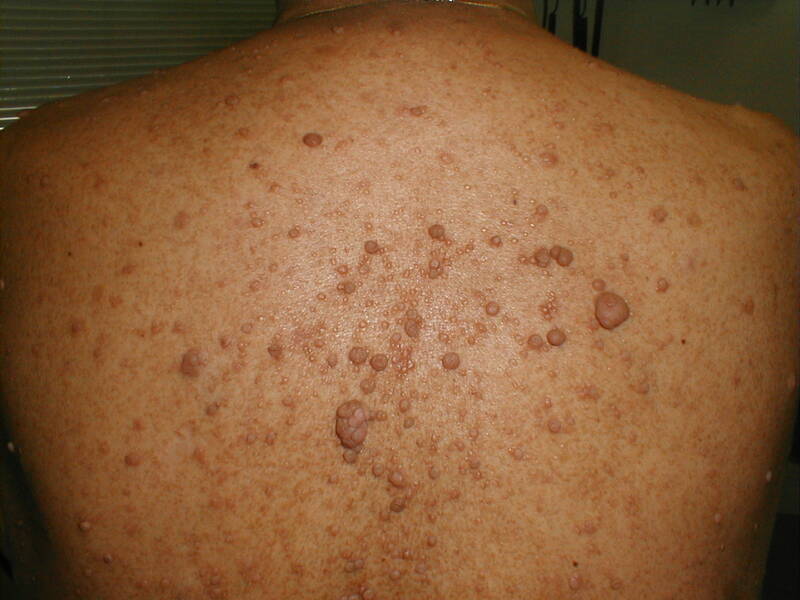 Neurofibromatosis (commonly abbreviated NF; neurofibromatosis type 1 is also known as von Recklinghausen disease) is a genetically-inherited disorder in which the nerve tissue grows tumors (neurofibroma) that may be benign and may cause serious damage by compressing nerves and other tissues. The disorder affects all neural crest cells (Schwann cells, melanocytes and endoneurial fibroblasts). Cellular elements from these cell types proliferate excessively throughout the body, forming tumors; melanocytes also function abnormally in this disease, resulting in disordered skin pigmentation and café au lait spots. The tumors may cause bumps under the skin, colored spots, skeletal problems, pressure on spinal nerve roots, and other neurological problems. Neurofibromatosis is an autosomal dominant disorder, which means only one copy of the affected gene is needed for the disorder to develop. Therefore, if only one parent has neurofibromatosis, his or her children have a 50% chance of developing the condition as well. The severity in affected individuals can vary, this may be due to variable expressivity. Approximately half of cases are due to de novo mutations and no other affected family members are seen. It affects males and females equally. An anaesthetic cream is applied to the lesions and kept for 45 minutes and all the lesions are removed using Co2 laser in a single or multiple session depends upon the number of lesions present. There will be small wounds which will be healed within few days. 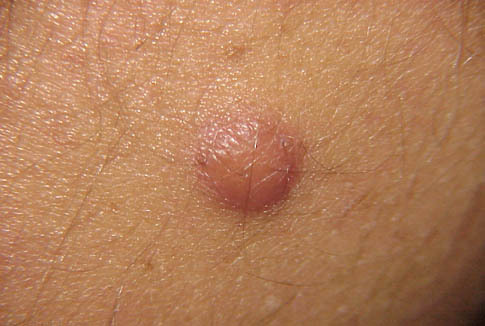 Treated lesions will have good result.